It is difficult for us as parents of kidnapped children to slog through the murky streams and fouled rivulets with which the U.S. Department of State floods the river of legal and verbal effluvia separating us from our children. 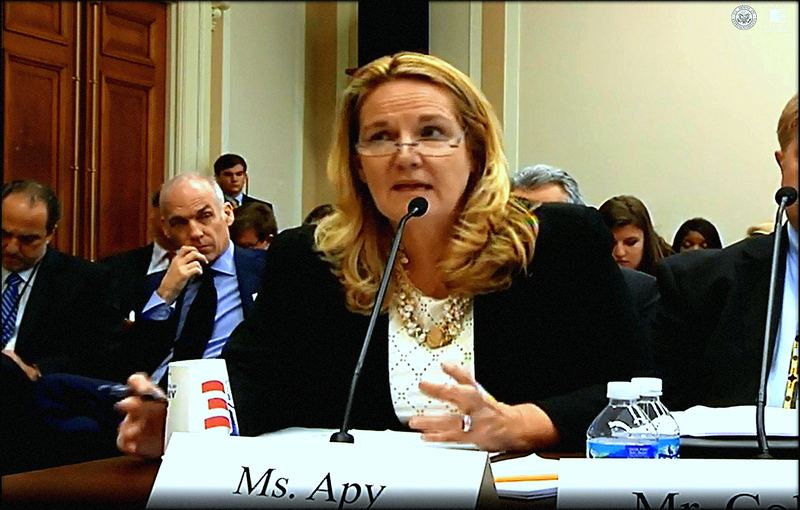 Among the strategic difficulties, one was the subject of a significant U.S. Congressional hearing this week (16-07-2015): a public confrontation with the Department of State concerning the “compliance report” which it is now required to produce annually with regard to the Sean and David Goldman International Child Abduction Prevention and Return Act (ICAPRA). The Act was passed with the concentrated support of Congressman Smith and a unanimous non-partisan vote of legislators in 2014, requiring the Department of State in its unfortunate role (a misfortune for parents and abducted children) as the U.S.’ Central Authority for compliance with the Hague Convention on the International Abduction of Children, to issue, first of all, an annual formal précis of the quality of cooperation of all countries signatory to the Convention. The objective of the report is to provide a master document, a reference for all, with which to oversee compliance with the Goldman Act, and with the principles and practices the Convention supposedly provides for us in meeting its aim: the return home of internationally abducted children, and the prevention of further abductions. The report’s first purpose is meant as a service to the government in determining whether or not a country should be subject to economic sanctions for the said state’s support of international child abduction – such as that supported by the government of Japan since the end of the 2nd World War. The assumption underlying this role is deserving of examination: it presumes first and foremost that the agencies of the state by which the report is made are motivated (to personify them a bit) by the desire to find and utilize the best possible evidence as to with whom and where the dangers of international child abduction lie, to act to restore the abducted, and to enable strong prevention. Whether this is a truthful statement of the aims of the Department of State is worthy of questioning, a brief consideration of which follows below. But the report is also a significant document in the more commonplace activities of contemporary governance in the age of the neo-liberal, laissez faire state with regard to issues of justice and social good (Saying nothing presently about economic and military imperatives in which the State’s role as guarantor is still an ever-more paramount and active one.). As Patricia Apy insisted at the hearing, it is in NGOs and family courts, where these everyday policies are reviewed and decisions are made, that this report will have a real effect on how accurately the traumatic incidence of child abductions can be monitored. Judges and lawyers in family court settings will from now be able to use the national numbers and state ratings from the evaluation issued by the Department of State in this report to make recommendations and decisions based ostensibly on reliable fact as to whether or not a territory or sovereign state represents a threatening environment from which the return from abduction, or to which the risk of abduction, is high. If a country is found to be a high risk, the report would be evidential in a hearing, in which for example, travel abroad with children was being requested. In the instance of a state having been found non-compliant with the international standard, the state must, according to the unambiguous language of the International Child Abduction Prevention and Return Act, be designated as non-compliant and a high risk. This will (or if the report were reliable, it would) assist parents and judges who are trying to prevent their children from being taken to places like Japan, which is without question a black hole for child abduction from which no child has ever been returned by order of a court¹. The lives of children everywhere depend on the reliability of this report. However the condition of contemporary politics, diplomacy, and interstate relations should set off warning bells at this assumption. I can hear them wailing now, and so can you. (2) to have further been found to have ZERO outstanding or unresolved cases of abduction. This “finding” was simply not believed by the chair of the Committee, Congressman Chris Smith of New Jersey, nor by the noted expert witness and highly active, well-informed child abduction attorney, Patricia Apy, who declared that she found the finding by Ms. Jacobs and the Department of State, “stunning.” It also came as a surprise to us, parents whose abducted children are as missing today as they were the day of their disappearances. 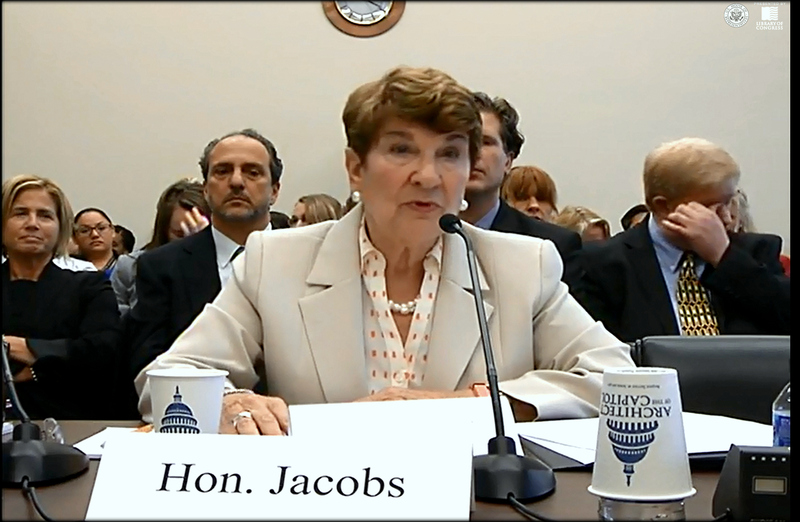 Ms Jacobs has testified before this Committee a number of times, having failed to provide adequate answers each time. DOS has been asked to provide numbers of cases, information about procedures being followed to hammer home the urgency of the outstanding child abductions, a serious account of any progress in these cases, and whether or not any returns of children from Japan have occurred or are expected. Her testimony this time, however, was particularly notable for its jocular callousness, through which she failed again to convey the authentic realization of any of her department’s stated aims. At times, the discussion considerably degenerated, with Ms. Jacobs claiming with a grin that the Committee was “beating her up” when she was pressed on OCI’s paper-thin re-interpretation of the law, and on disingenuous explanations of how Japan could be considered to have zero outstanding unresolved cases, given that 50 Hague applications that made their way through her department this year all have yet to be responded to by Japanese authorities. None of the cases has been in any way adjudicated or “resolved.” Ms. Jacobs instead insisted on how hard she and the Japanese have tried (producing the equally stunning outcome of zero results), and complained that she and her colleagues were unable to completely escape from the responsibilities for which her office exists, and which sends her on elaborate travel junkets abroad, saying with a knowing smile that the Office even discussed child abductions at the U.S. Ambassador’s Fourth of July party this month. What fun is that? I must confess that as a parent of an abducted child of whom I have had neither information nor contact for 5 years of his young life, I found the humor in this exchange wanting. What a great and terrible burden Ms. Susan Jacobs and the OCI staff must shoulder, indeed. The S&DG ICAPRA was the product of a long slog of strategic intervention, pushed through by activists on behalf of parents and kids, an attempt to take a weak and ineffectual international legal regime under the Hague Convention and provide it with some practical support for actual parents and children suffering from the literally idiotic² practices of isolated, outlier states such as Japan’s, which pretend to be historically unmoved or unfamiliar with the concept of “rights” when they are claimed on behalf of a species of animal we generally refer to as “human beings” which by definition are theoretically to be entitled to something more than an overfilled raft at sea, sexual enslavement by marauding imperial armies, a border prison and campsite for refugees from socio-economic and/or criminal acts of war, or a slow agonizing end in a death camp with no exits. It’s a novel conception, but one whose popularity has grown internationally among ordinary people over a several hundred year period, yet which the governing party at the summit of power in Japan and the U.S. partners who support them there are remarkably able to play dumb, or remain non-cognizant. To help with this inconvenient incongruity between ideals and practices, enter the officials of the U.S. Department of State. The State Department jumped into the fray without much glee. There seems to be considerable confusion as to on whose behalf it is exercising its considerable partisan powers. In the last year, State Department efforts have contributed mightily to the latest slow-down of what always seems to be a process having difficulty sustaining momentum: holding Japan accountable for stealing jurisdiction over child abduction cases and giving them, through a certain willful process of stretching out time, room to slowly suffocate and expire from neglect. These long, slow-motion catastrophic skids are the product of two states, the Japanese and the American, in cahoots; or in the parlance that often over-dignifies the obstruction, the U.S. and Japanese states have a strategic and geopolitical partnership whose conjoined movements are presumed to be close and coordinated, as skin is to muscle. This is only the first of many identifications that lead to our current state of powerlessness to secure our children to our care. Recognition that the price paid for this coordination and closeness is, along with child abductions, also the broad evisceration and casting off of democracy in Japan, is in my view the precondition for the establishment of numerous other aims, convictions and attachments born from our history with which we should and will have to struggle in order to survive. This report makes clear what we parents of abducted children have known for a very long time while missing our children’s childhoods: the desire of the U.S. government’s appointed agents to find and utilize the best possible evidence as to with whom and where the dangers of international child abduction lie, to act to restore the abducted, and to enable strong prevention is missing and unaccounted for. All claims to the contrary, the Department of State of the U.S. and its Japanese partners have by design created a structure and division of powers between them for the continuation of our children’s abductions. There is no reasonable expectation left among us that these officials have envisioned any other future for our children than permanent, state-enforced, separation of us from our parental rights. The following is a recent Toyota television commercial in which the appearance of concern for the bond of parent and child is considered an ideological centerpiece of a “good life” imaginary. Too bad the governments of Japan and the United States aggressively counteract this dream-like fantasy with their actions: sponsorship of JIPCA, misinformation from the Department of State, and propaganda such as this from one of Japan’s most powerful private enterprises to cover for the glaring omissions and commissions for which they each bear responsibility. Personally, I would say, that a boycott of companies such as Toyota that engage in this sort of advertising is entirely justifiable. If Toyota, with all of its economic and social clout in Japan, were to get behind an effort to secure for us the rights of children, they could have done so, and saved millions of children from abuse by the state. But needless to say, they have not. Japanese family courts do not and cannot make such orders; if they were to make them, they could not be enforced. There is no enforcement provision for any decision made by a Japanese family court, except, notably, for custody, which is always and only single-parent sole custody which permanently excludes the other parent from exercising any parental right or privilege. Legally, the other parent and the entire family of which he (or she) is a part are made, legally, complete strangers. That this is an absolute brutality visited on children and parents alike, and turns parents into monsters, remains unacknowledged in Japanese law. The family law practices of Japan may indeed be idiotic, but I refer here to the origin of the word, the Greek idios, or “confined to oneself.” It is certain that Japan’s family law and family court practices are in this sense, idiotic. No other modern state anywhere in the world makes sole custody and the preventative absenting of parents from children into a goal of the court, a legal injunction, and against common wisdom and learning about the well-being of children and their parents into some sort of idiosyncratic “virtue”. Of high relevance to this post on the betrayal of U.S. citizens and children by the Department of State and its Office of Children’s Issues is the story of the Japanese delegation that was sent from Tokyo’s Ministry of Foreign Affairs prior to the issuance of this report, requesting directly that the State Department go easy on Japan in the compliance report, rather than telling the truth about the intransigence and non-cooperation of the Ministry of Justice. The delegation insisted, precisely as Jacobs has done, on the story that they are still slowly learning how to manage the cases, a perennial cover story which the government of Japan uses with particularly great frequency. The U.S. Department of State, which is concerned not with the welfare of U.S. citizens and our children’s rescue, but with the economic and military interests of the Japanese and U.S. elites they serve, was only too happy to cooperate with the Japanese request. This seems to be the type of origin of the false report, although it must also be recognized that the long term posture of the Department of State and U.S. Executive branch in general is also entirely consistent with this: as long as Japanese elites serve the interests of American elites, the principals of the USG remain fat and happy. And any critical remarks directed at Japan will be issued sotto voce, with a wink in the right direction. The U.S. State Department isn’t here to help us after all. America land of the free, Justice and Liberty. Any chance Susan Jacobs can be replaced by someone with balls? We were foolish and needy enough to believe that we were the State Department’s constituents. Now, people should know better. We are not; and the Department is not there for our sake, but for its own interests, which are not ours.